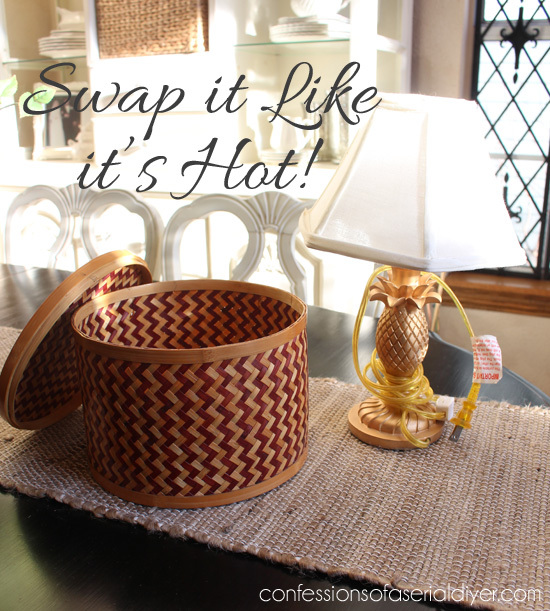 Hi friends and welcome to day #3 of March Madness, 31 thrifty makeovers in 31 days! I have a special treat today! 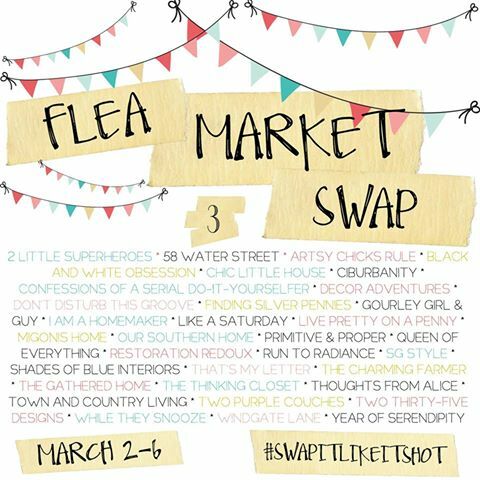 I am so excited to be participating in a Flea Market Swap AKA Swap it Like it’s Hot! This is a challenge where a bunch of crazy bloggers came together to swap thrift store crap, and then we each have to work our magic on what we got! How fitting is this for my own March Madness challenge? You could send pretty much anything and my thought was, the cheesier the better! Well my good friend Shanna from Restoration Redoux (follow that link to see what she made over) had me and I have to say, she went pretty darn easy on me. Not too bad, right? My first thought was to use the basket as a new lamp shade for the lamp, and the proportions were perfect. However the max wattage for bulbs for this thing is 15, and the basket was just too opaque to make a good shade. 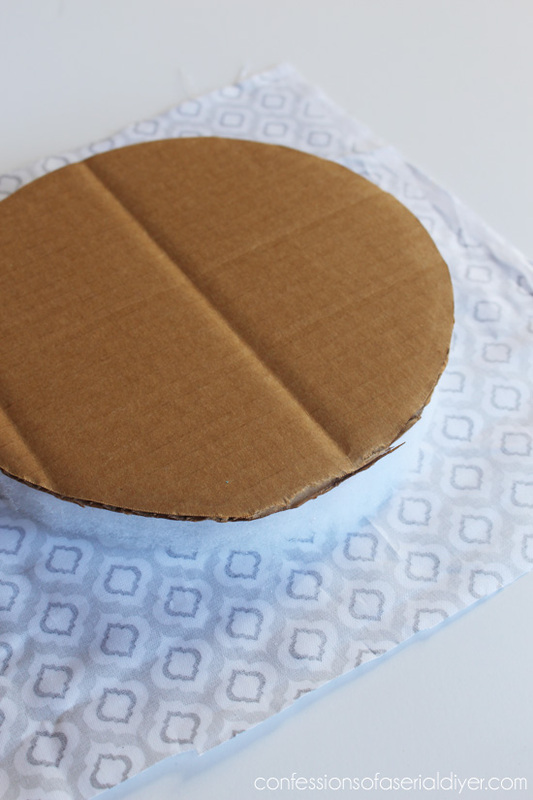 Then I hot glued it to the inside bottom. 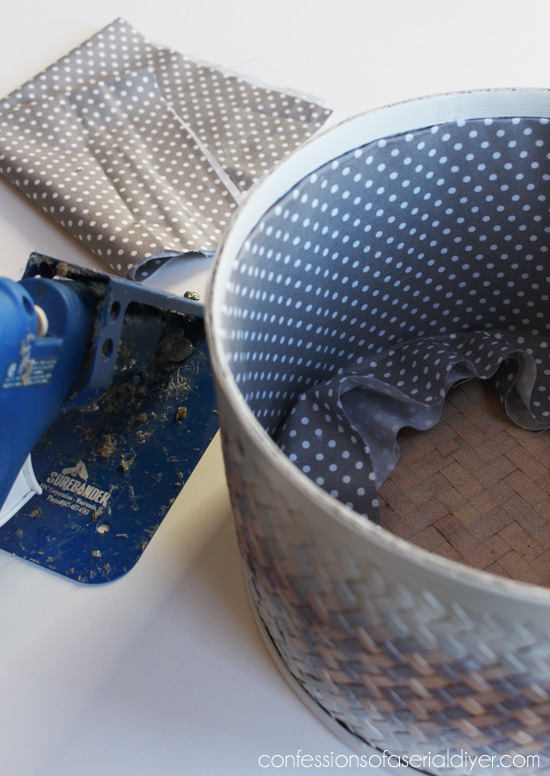 Then I attached fabric to the outside using hot glue also. 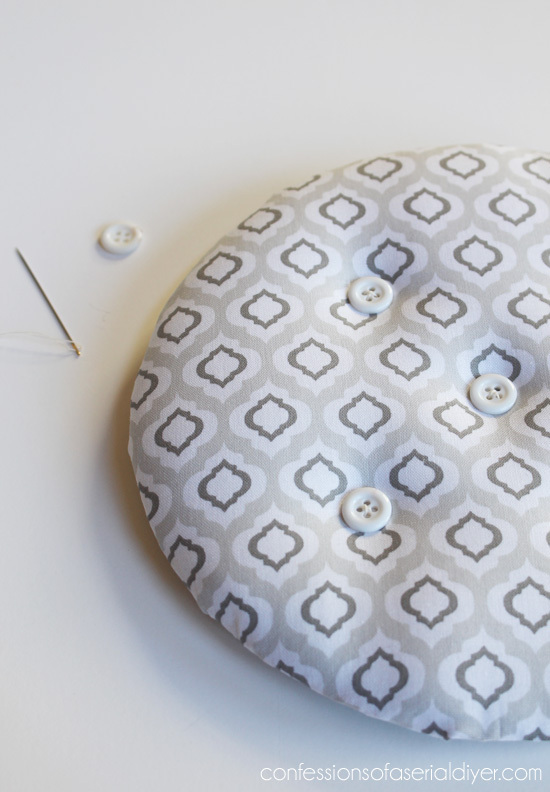 You can find my super simple SEW and NO SEW tutorial for piping here. 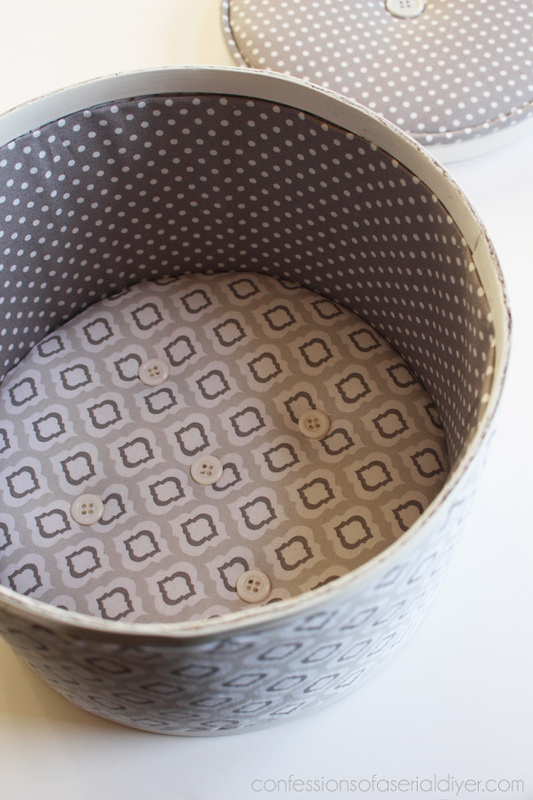 I added one button to the center on the top, then hot glued the padded top to the top of the basket. I never would have purchased this if I saw it myself, but now I have so many ideas for it. 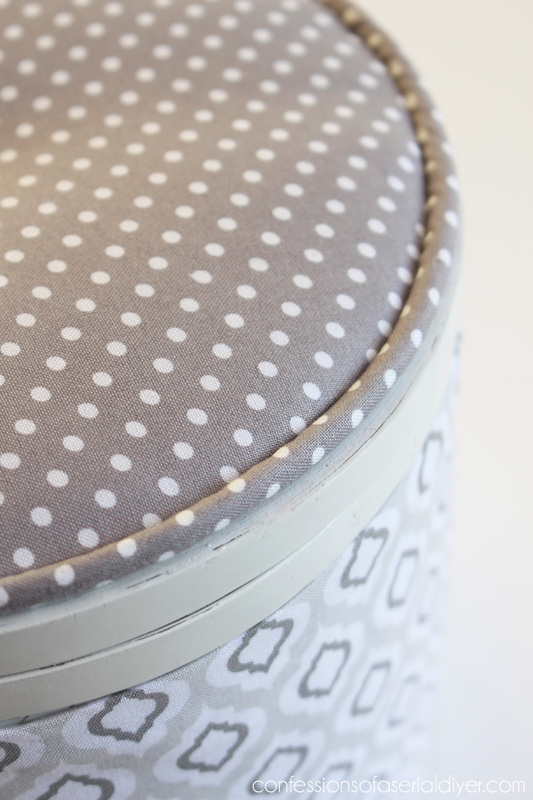 It would make a great sewing box, or it could be used to hold nail polishes, or how about on a desk to hide supplies? 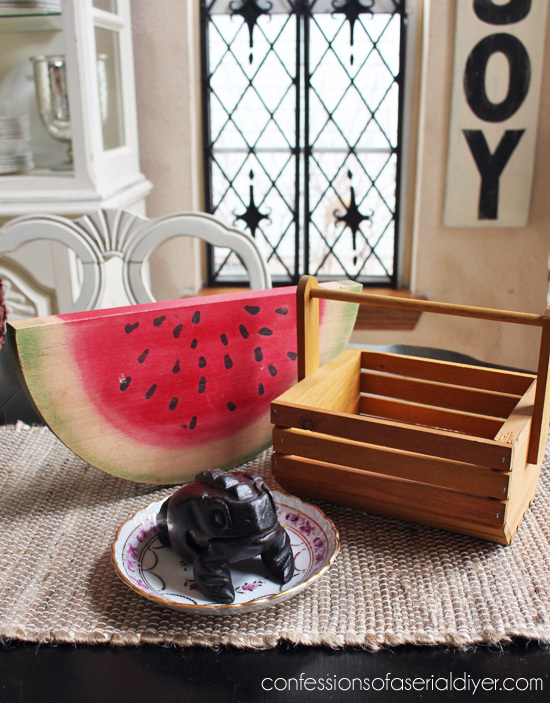 Visit Emily here to see what she possibly could have come up with for these items! You can follow along all week if you like. There are over 30 bloggers participating! I’ll be back tomorrow to share how I transformed the lamp. Shazam! See what I turned the lamp into HERE now! Wow Christy! 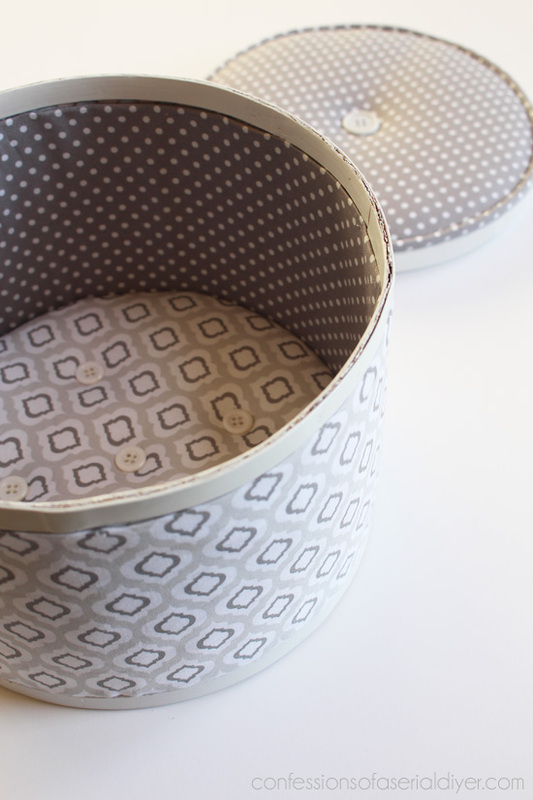 You wouldn’t even know it was the same basket, this looks amazing….love how your mind works! I love the basket re-do. 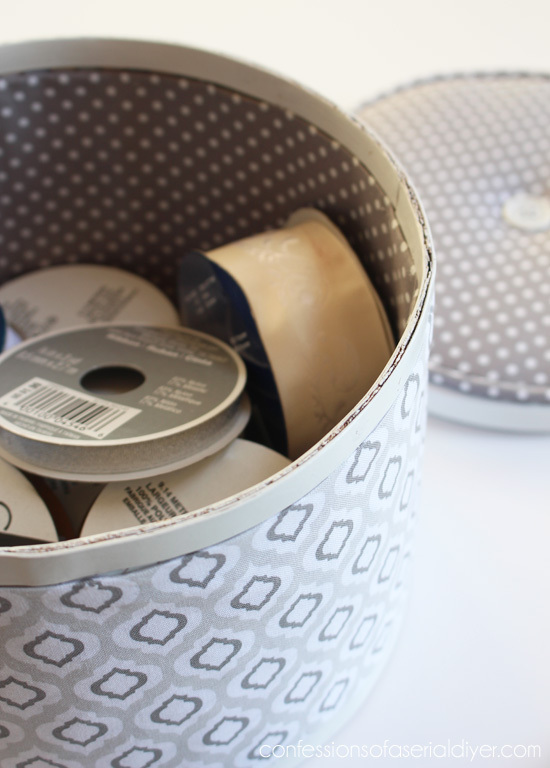 Now I just want to go find a basket with a lid to do this too! Of course I am not as crafty as you so it probably won’t turn out as beautiful as yours but I would love to try it anyway. Aww thanks, Pam! I saw another one very similar at one of my thrift stores, but I didn’t get it because I hadn’t come up with an idea for mine yet. Now I wish I would have bought it! Woman, how do you do this?! My goodness that basket looks incredible now! I want one! 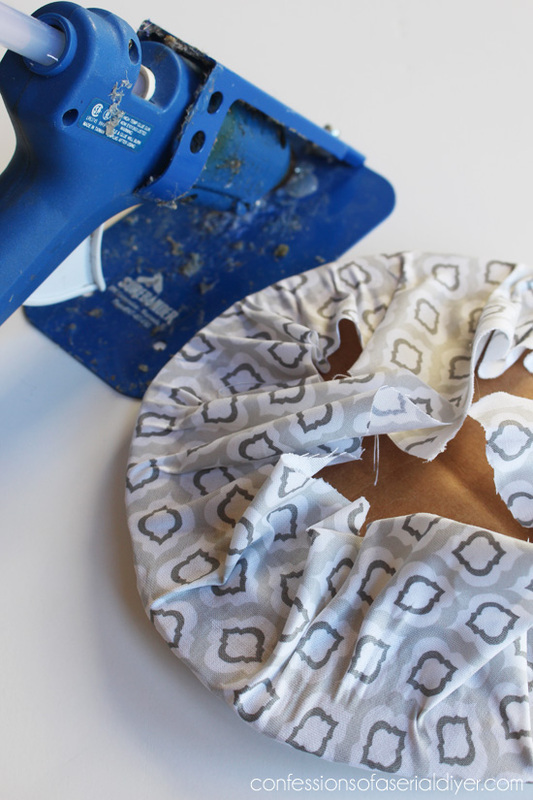 Christy, you are definitely one talented DIY lady. 😀 Looking forward to seeing what you did with that lamp. Oh my gosh I love this series! 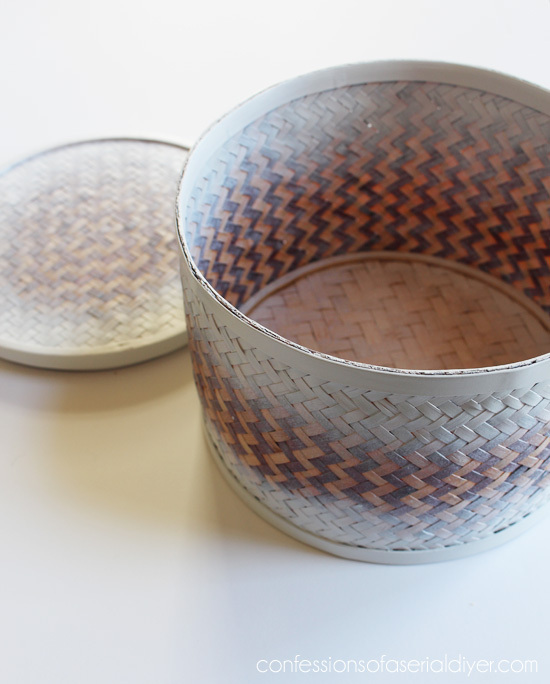 Only you could turn an ordinary woven basket into something extraordinary. How pretty is this! 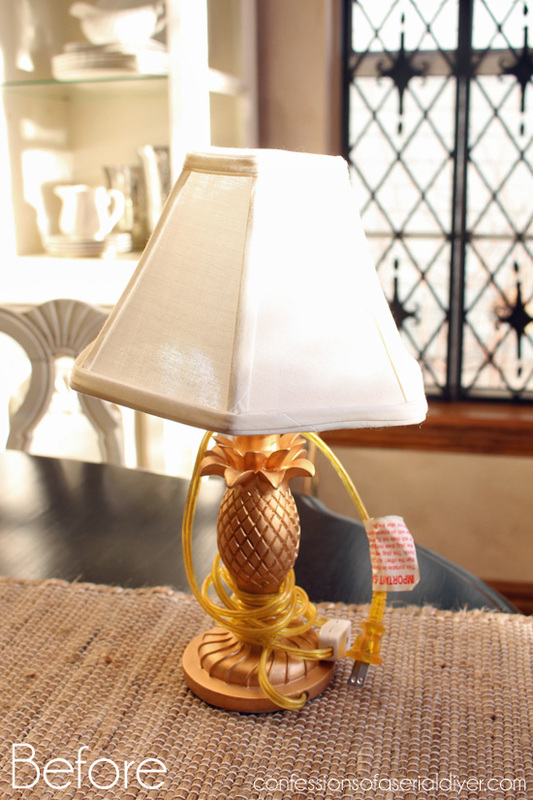 Looking forward to seeing what you did with the pineapple lamp. Wow Christy, you really did a nice job on the basket. 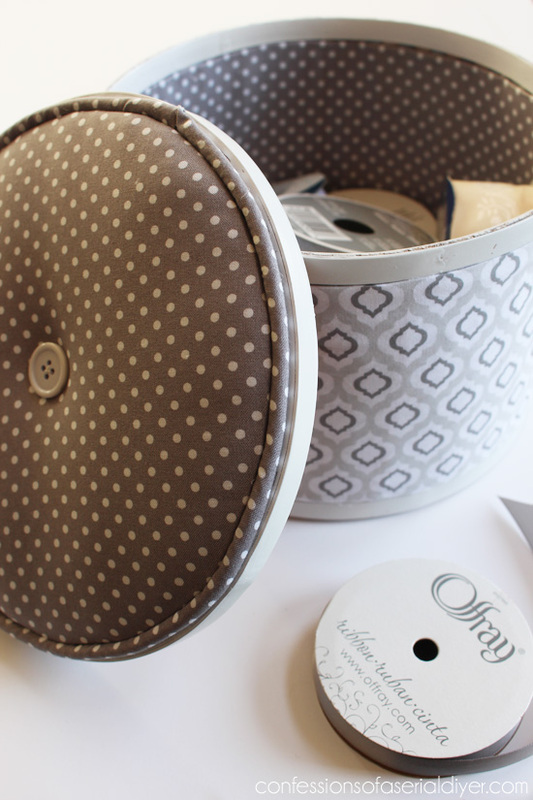 The fabric you chose is perfect. You really put a lot of effort into it. Awesome work! You are so clever! 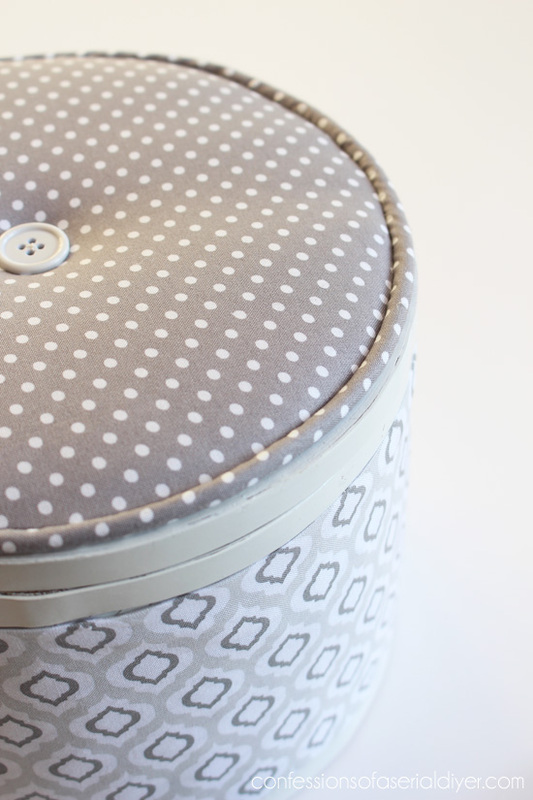 Covering your basket in fabric was a great idea. It’s so elegant now. Of course you did something amazing! It went from totally boring to beautiful! Oh wow! That basket turned out absolutely AMAZING! Wonderful job! You always see such good potential, Christy! I love what you did with it… And such a fun challenge! 🙂 Can’t wait to see the lamp! Have a great week, friend! Stop it. I have passed up so many of those dang baskets because I had no idea what to do with them. You even tufted the bottom?! Crazy! It turned out perfect! That looks awesome! I never would have guessed it was all with no sewing. Great job! 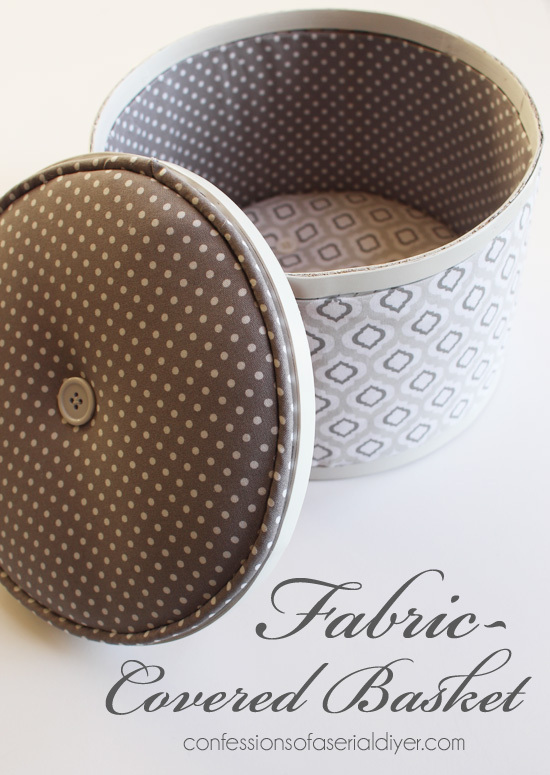 I LOVE your fabric basket!! You’re truly talented! Way to take that basket from meh to fabulous!! You have way more patience than me!!! I would have stopped at the spray paint. This looks so great!!!! That basket transformation isfabulous! 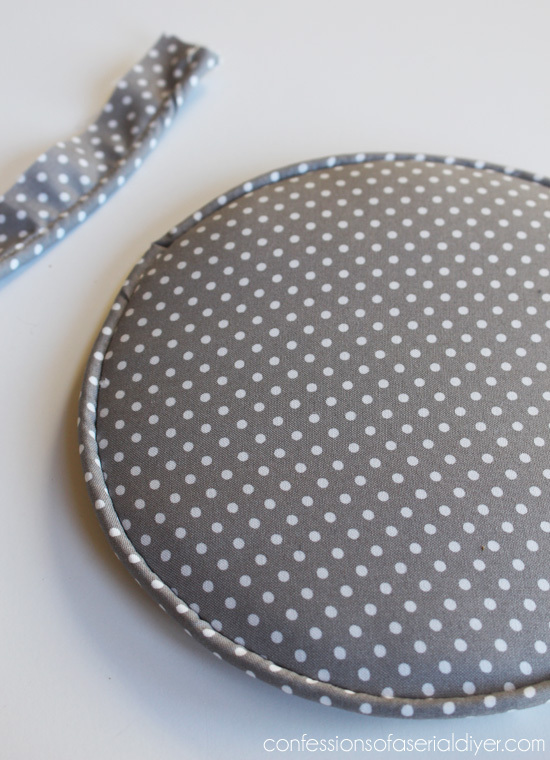 You work all kinds of magic with fabric, my friend!!! Kristy, that basket is so professionally done, it looks great! I thought for sure you sewed it all on or something. 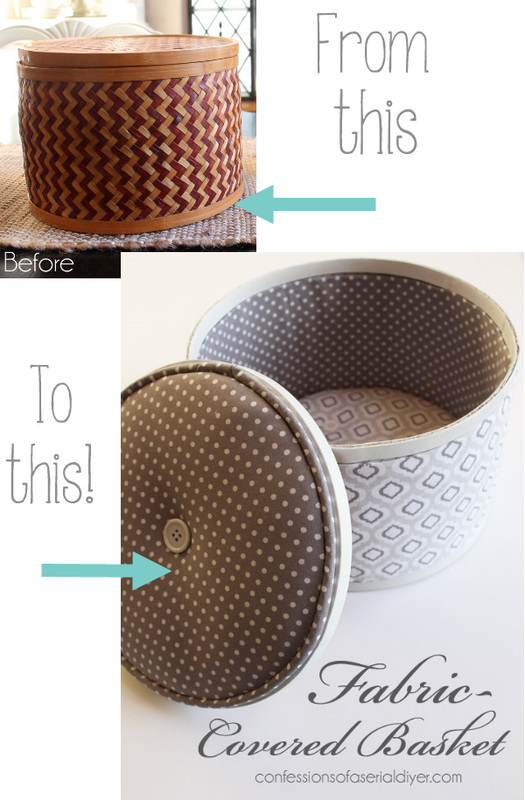 I actually have a basket with a lid like that myself, now I think I’ll have to make it over! I thought I couldn’t possibly answer every comment ha ha. The watermelon could have been cut or painted right? I did feel a bit bad, but we were supposed to send crap and my swap partner was a great sport lol. (they have seen better days) and your idea is the best one i found!